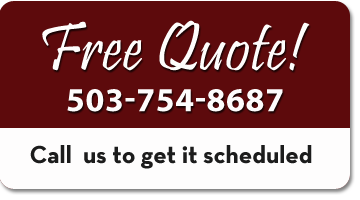 We are a small Portland house painting company with the skills and experience to tackle any residential painting or light commercial painting project. Whether you are looking to have your entire home or office painted, or you just want a small job done, you can depend on our team of professional journeyman painters to do it right. We also have our own finishing shop for those times when applying a finish on location just isn’t practical, or you just have some pieces we can take with us and return to you looking like new. Whatever your project may be, count on our professional, courteous and communicative team of painters to help you realize your vision. We hope you choose us to paint your home, and we know you’ll be glad you did! • Replicating aged wood finishes. • Toning existing woodwork to change its coloration, or breathe new life into it. • Refurbishing or re-finishing any wood surface. • Shading, glazing, distressing or antiquing wood surfaces. • Many specialty painted effects. • Painted millwork, doors and windows by spray or by hand. • Stained and clear coated woodwork. • New or refurbished cabinets and furniture finishes. • Specialty finishes such as antiquing, glazing or shading.